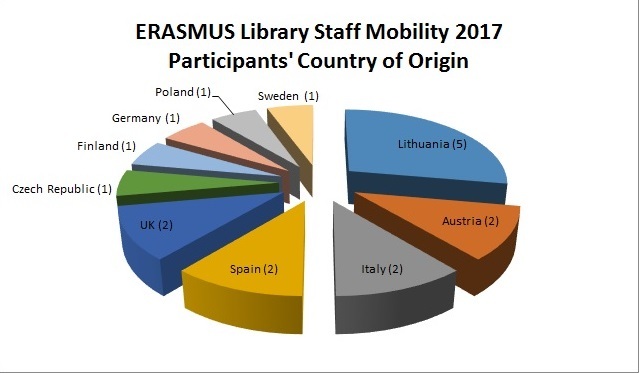 18 participants from 10 European countries attended the Dublin ERASMUS Library Staff Mobility Week from 26th to 30th June 2017. The week’s activities were hosted by seven of the Dublin area CONUL libraries (Dublin City University, Dublin Institute of Technology, Maynooth University, National Library of Ireland, Royal College of Surgeons in Ireland, University of Dublin, Trinity College, and University College Dublin). The collaborative programme grew from a desire to reduce individual CONUL institutions’ workloads resulting from hosting dozens of separate visits by European librarians throughout the year, and to contribute to CONUL’s strategic objective to be “the platform for our international presence”. 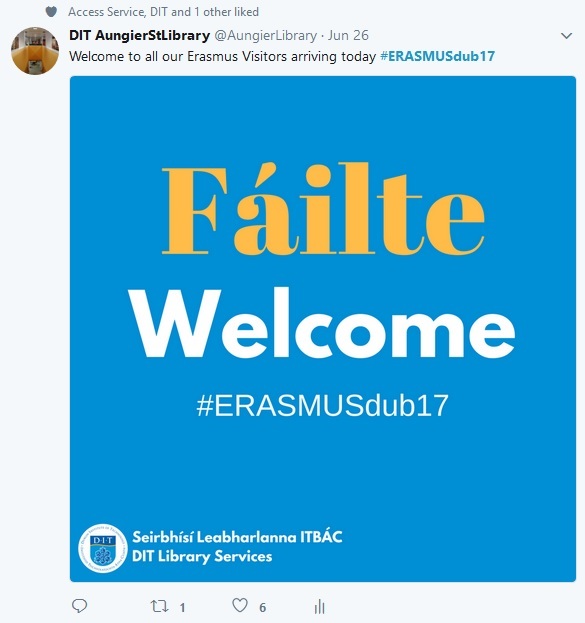 As a result, CONUL ANLTC decided to pilot a collaborative programme for ERASMUS visitors in the summer of 2017. For logistical reasons the ANLTC agreed to limit the pilot to CONUL libraries in the Dublin area. 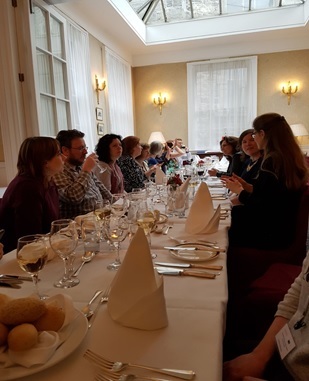 I was DIT’s representative on the organising committee, together with Carmel O’Sullivan (UCD, Chair), Elizabeth Kirwan (NLI), Helen Fallon (MU), Jessie Kurtz (TCD), Kathryn Smith (RSI) and Órla Nic Aodha (DCU). Library staff in each of the seven host libraries also helped us to plan and deliver the programme. The programme consisted of presentations by library staff in the organising institutions, presentations by participants and visits to each of the seven participating libraries. Communication was essential to the organisation of a five-day programme across seven locations. The organising committee held its first planning meeting in February, with two further meetings and hundreds of emails exchanged before the event itself. We also stayed in in touch each day throughout the week itself. We used a Gmail account (erasmusdub@gmail.com) to communicate with the programme participants in relation to confirming their funding, completing the necessary ERASMUS forms, their presentations, etc. The related Google Drive was helpful for sharing presentations and programme documents with the participants and with staff in each of the host libraries. The amount of communication required probably exceeded our expectations – we received over 3,700 emails to the ERASMUS Gmail account. In an inspired move, Órla Nic Aodha (DCU) set up a WhatsApp group to allow participants to communicate with each other and with the organising committee prior to and during the programme. This proved hugely popular with participants who have posted hundreds of messages and pictures before, during and after their time in Dublin. In fact, they’re still using the WhatsApp group to keep in touch and to discuss potential collaborative projects. We provided the participants with information at the end of each day on how to get to the next day’s host institution. 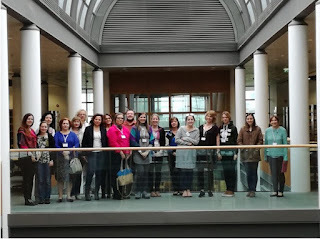 Committee members and other library staff escorted the participants from one location to the next where activities took place in multiple locations on the same day. The week’s events began in DIT. 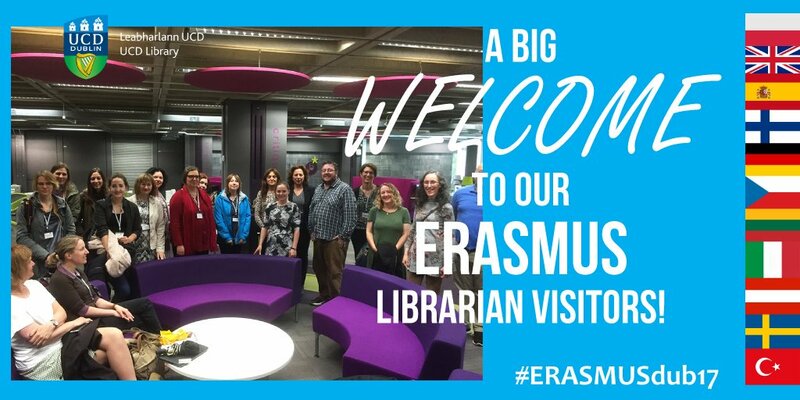 Patricia Tutty of HEA’s ERASMUS team, Siobhan Fitzpatrick, Chair of CONUL and Dr. Philip Cohen, Head of DIT Library Services each welcomed the 18 ERASMUS Library Staff Mobility Week participants to Ireland and to DIT. I had an opportunity to chat with the participants over lunch in the nearby Radisson Blu hotel in Golden Lane and while escorting them from there to the National Library. Apart from being keen to learn more about DIT’s move to the new Grangegorman campus and about our information literacy programme, the participants also found Irish pedestrians’ jaywalking habits fascinating! And finished the day at a reception at the National Library of Ireland. and they finished up with Change and future skills in DCU on Friday. 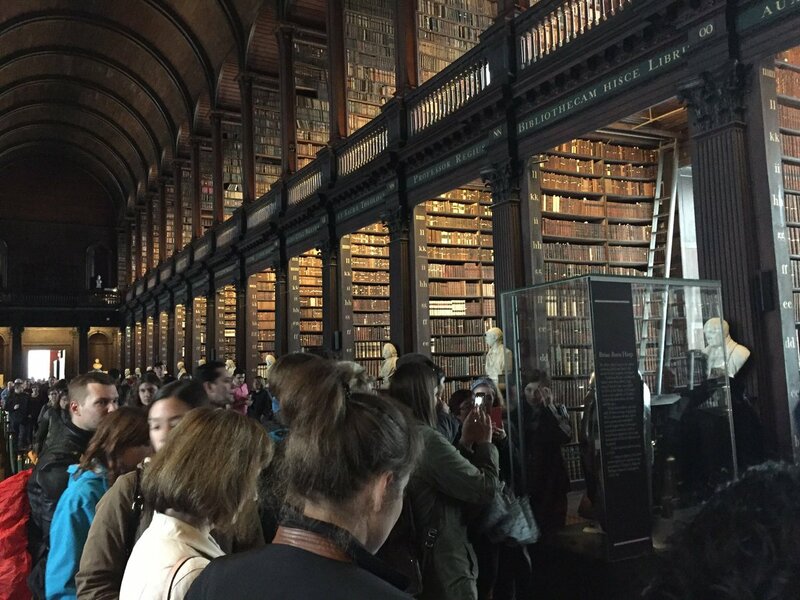 There were two social events during the week: a reception in the National Library of Ireland at the end of Day 1 and a dinner in the 1592 restaurant at the University of Dublin, Trinity College on Day 3. The ANLTC sponsored both events. They provided an opportunity for the participants to get to know each other and to meet the organising committee members. DIT’s ERASMUS office covered most of the cost of the lunch in the Radisson Blu hotel on Day 1 and UCD’s ERASMUS office sponsored lunch and refreshments on Day 2 in UCD. Participants’ feedback in relation to the week was overwhelmingly positive. All participants either ‘Strongly Agreed’ or ‘Agreed’ that everything from the application process to the catering to the programme itself met their expectations. The organising committee has already agreed that we will offer the programme again from 18th to 22nd June 2018. 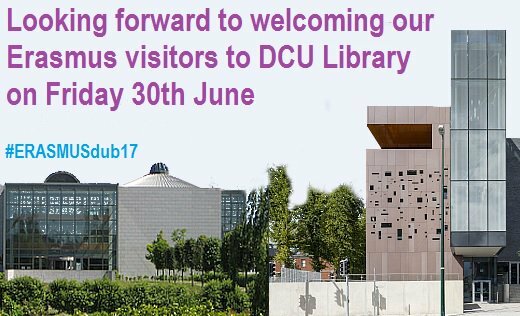 To minimise costs for participants and for logistical reasons the Dublin area CONUL libraries will host the programme again in 2018. The themes will be similar to this year but will be reallocated between the host institutions. We are also making a change to the 2018 event in response to feedback from the 2017 participants and from library staff in the host institutions. 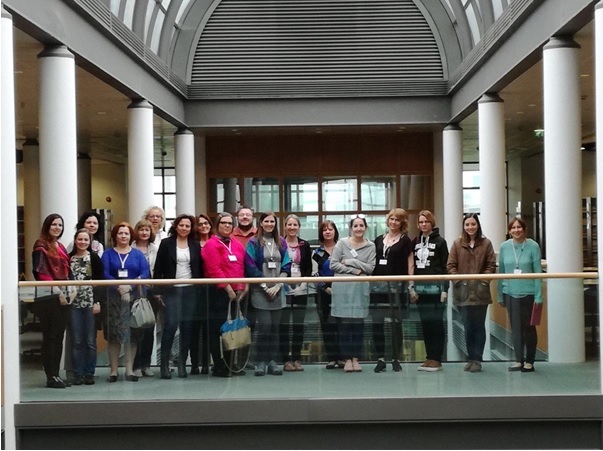 Next year’s participants will include eight Irish librarians from the CONUL Dublin area libraries. Irish participants will follow the same application procedure as the overseas participants. We will begin advertising the programme in November 2017 – so keep your eyes peeled if you’d like to be in with a chance to participate in the 2018 ERASMUS Library Staff Mobility Week in Dublin! Michelle Breen is a librarian at the University of Limerick. Michelle manages the library’s social and digital communications channels, conducts a range of assessment activities and performs research linked to customer service and quality initiatives in an academic library. Michelle is also responsible for liaison with university alumni and corporate library members. Michelle has presented widely on information management and assessment topics and has had her work published in conference proceedings, LIS practitioner literature and in the ISI journal, PORTAL; Libraries and the academy. Data from IPSOS MRBI indicates that Snapchat is the highest daily used social messaging platform in Ireland. A large percentage of incoming third-level students will already be Snapchat users and this presents our libraries with an open communications channel on which to engage with this most important student group. The University of Limerick’s Communications & Marketing division uses Snapchat in a targeted way to engage prospective students and reach new students arriving on campus. Emulating UL’s model the Glucksman Library began using Snapchat in the academic year 2016/17. A student posted updates several times a day on behalf of the library. The content was themed and the librarian responsible for communications guided the student regarding tone and message. Universities use Snapchat as part of their communications strategy and a growing number of libraries are using Snapchat for student communications. 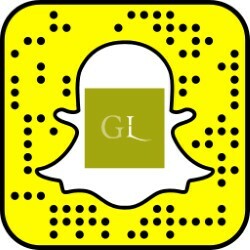 The Glucksman Library’s Snapchat account added an extra dimension to the library’s communications and was used to highlight specific library services and to proactively address questions received on the online query service (QuestionPoint). Students were invited to screenshot certain snaps that contained detailed information, that they could continue to use from their own phones e.g. how to change a password and Study Skills and Time Management information. Snapchat was also used to advertise ‘Citing & Referencing’ classes and ‘How to be Smart Online’ classes run by UL’s Student Engagement & Success Librarian, Michael Smalle. When exams were approaching students were told about additional study spaces on campus and the details of the desk clearing campaign (Every Seat Counts) were explained in detail via this very student-friendly mobile app. 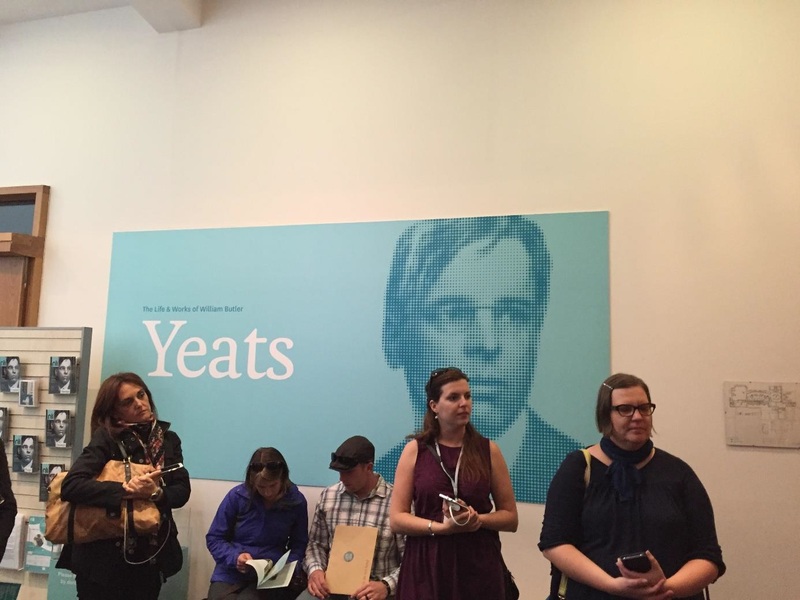 Concurrent information campaigns ran on Facebook and Instagram but students at the Glucksman Library really welcomed the updates via Snapchat. Feedback from students about the library’s Snapchat was that it was informative, yet witty, which made them want to keep up to date with what was going on. Information and support was provided in a helpful but engaging tone. A LibQual comment in 2016 said that the Snapchat account was appropriate in its tone; “Excellent service, great staff and hilarious snapchats!! Some students snapped back to say thanks for posting certain content or for highlighting services that the library provided. Within the University’s Social Media Community there was a good deal of interest in how the library was using Snapchat. The UL Social Media Officer complimented the library’s use of Snapchat and remarked that the tone was appropriate and there was an impressive level of interaction on it. The usefulness of Facebook posts aimed at students is currently under review at the Glucksman Library while Instagram and Twitter both have strategic focus areas also. Snapchat is an emerging, mobile only platform and as such has constraints such as limited analytics and the need to create live content which disappears after 24 hours. Although Instagram and Facebook now have elements of the ‘story’ in their apps the content from Snapchat is not usually suitable for cross platform sharing. Snapchat can give your library a direct and relevant communications channel with your students. If you decide to introduce Snapchat in your libraries I’d recommend that you try and maintain an informal yet helpful tone in your Snaps. This seems to be what students liked about it at the Glucksman Library. If you can, use a peer voice on your Snapchat account. In our case we were targeting undergraduates so we used an undergraduate student to run the account on our behalf. Despite media reports about Snapchat being on the wane, I believe there is untapped potential for it as a communications medium in academic libraries. By growing your Snapchat followers and even scheduling Q&A sessions via Snapchat you can have real engagement with your incoming students this year. Is it Time to Retire the Words Library and Librarian to Enhance the Employment Opportunities of Graduates? The Dublin Business School Annual Seminar is an event to look forward to every year. There is always a fantastic line-up of speakers and often a new event is in the mix to make the event different and unpredictable. We both tried to give compelling arguments… You have to read through to the end of this post to see which way, and if, the audience was swayed. Is it time to retire the words Library and Librarian to enhance the employment opportunities for library graduates and professionals? No! Keep the terms just enhance the / your image. I say not and I feel I speak with some authority having worked for 39 years in libraries. 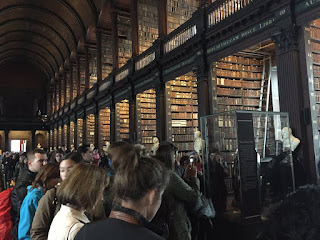 During this time, I’ve worked in libraries in five very different countries– Ireland, Saudi Arabia, Sierra Leone, Namibia and Tanzania and in all of these countries I’ve experienced a common understanding and value to the terms Library and Librarian. Despite sometimes very different cultures and environments – they all valued their library. The term Library and Librarian embodies something deep and rich that is part of life in virtually every part of the world and is something which we should not give surrender to. Rather we should embrace these terms and promote ourselves as the skilled and valuable professionals that we are. I taught librarianship at the University of Sierra Leone from 1980 to 1991. When I returned 14 years later I was heartened to see the public library – which is also the national library – open for business in Freetown and other libraries being reopened or in some cases rebuilt in the Provinces. In Freetown the law library was recording and archiving the very important testimony of the war. In the British Council Library, I met Sierra Leonean Mike Butscher. He had established PEN Sierra Leone, a chapter of PEN International - a writers group. He wanted to set up a small library in their office in Freetown so that people like himself who aspired to write about life in a time of war, could explore how Sierra Leonean and other writers were recounting their experiences. I met Irish born Sister Celia Doyle who had established a women’s weaving project in a refugee camp. She wanted to establish a small library in the camp as part of a literacy project for the women weavers. These people understood the importance of librarians and libraries in the rebuilding of Sierra Leone. I didn’t have to explain that to them what we could do. 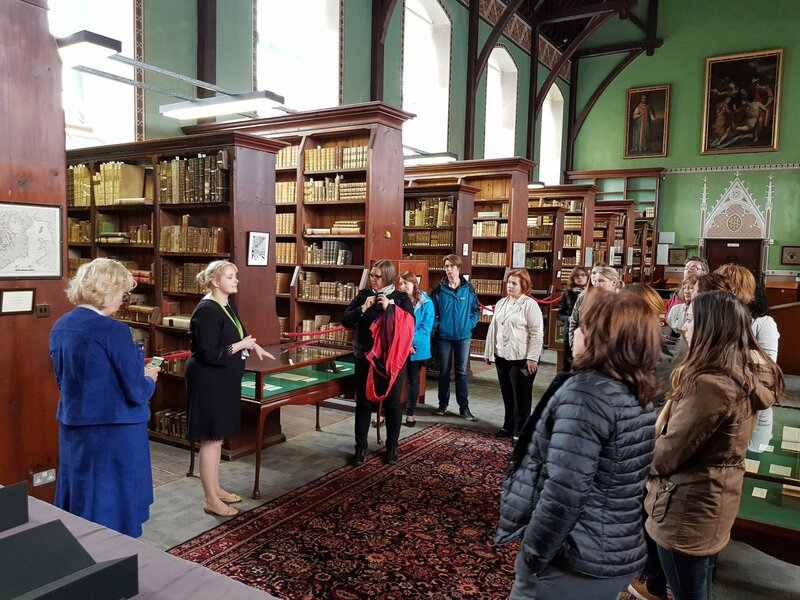 As Librarian’s we have a long established tradition – we’re the second oldest profession and I think we need to affirm that libraries and librarians have the potential to transform lives in Ireland and elsewhere and we can and should use these terms with pride. Coming to employment opportunities of library graduates. I believe we need to change how we are perceived rather than change our titles and we have the power to do this. The first thing I would suggest for recent graduates seeking employment is to match your CV to the actual post on offer. This takes time and if you are looking for employment in non-traditional sectors it may take more time. I sit on a lot of interview panels and over the past twenty years or so I am surprised by the number of job applicants who have “a” CV and use it with a different covering letter for different posts. My advice would be to study the job description and see what you have in your experience and education that matches that and put it in your CV. You can briefly summarise the key points in the covering letter. Please let’s have no more standard CV’s. Join professional networks and increase your visibility and enhance your CV. There’s a very active new professionals group and many other groups in the LAI that would value and need new members with energy and ideas. Through these groups you will develop skills that are transferable to the workplace. When you get a job be visible, no matter how short term the post is, think of yourself as an ambassador for your organisation and get out there and be seen and heard. I graduated from UCD with a diploma in Librarianship in 1982. It was a very depressed time. Many of my colleagues went to the UK to work. I went to Saudi Arabia to an American-run health sciences library. This was a wonderful opportunity to learn about medical librarianship in a library that was very much at the heart of the hospital. Shortly after I started work the Librarian suggested I leave the desk and go around and ask people if they were finding what they needed and could I help them. My initial reaction was resistance. But I did it and was pleasantly surprised at how effective it was. About 20 years later we introduced a roving service in Maynooth University. I think from that experience I learned how important it was to be visible and today, I would say the same thing. Put your energy into increasing your visibility particularly among your user community. We don’t need to change the terms library and librarian instead we need to embrace these very terms and create an impact as a profession to enhance our image and employability nationally and internationally. The term “networking” has become quite popular. Now, in the final decade of my own career and having watched career’s, including my own, develop I think this is hugely important if librarians are to be viewed as a vital part of whatever organisation they belong to. This isn’t always easy but the more you do it the easier it gets. When I attend an event now I try to meet at least four new people. I’ve gotten involved in non-library groups such as AISHE and I’ve worked with colleagues from that group on publishing a book. Nobody had thought about having a chapter from a librarian in their book about teaching and learning in higher education, until I put a proposal with abstract in and then everybody realised that it was vital to have the library contribution. In the same way when Maynooth Univeristy had short secondments under the Strategic Innovation Fund – nobody thought of Librarians as possible candidates. The job adverts were restricted to academic staff. Instead of moaning about exclusion I went to the particular office and politely explained that as a Librarian I had the skillset to do some of the projects. The next time they advertised internally they didn’t limit it to academic staff and I go one of the projects, which brought me into new networks, where I was able to promote the role and skillset of the librarian. So my advice is - Don’t change your title. Rather see how you can promote it and the work you do. Be the change you want to see in the world. Is it time to retire the words Library and Librarian- my position takes it to the next level where I am proposing that they should be eliminated. It is with a heavy heart that I have come to the conclusion that the words library and librarian should be eliminated as I have always been very proud to call myself a librarian but upon reflection, especially these last few years I think the time has come to take a very hard look at our profession - in particular how do develop our professional identities, how are we viewed in society and what are realistic career expectations. The terms library and librarian are old fashioned and do not convey what a modern library or librarian is or does. It limits the field of jobs as there are so many roles an MLIS can be applied to but employers and students do not see this qualification as it is hidden under the library umbrella. In the job market, today we see fewer roles for librarians. We have highly qualified people competing for entry level roles in libraries that previously were taken up by those with leaving cert level education and often Saturday jobs for students. In academic library environments, there is inertia: people are in the same or similar roles for many years with little chance of promotion or even lateral movement. The dynamic components of what we can do are often left on the shelf. As a lecturer in UCD in the School of Information studies I have also made myself aware of the program here at DBS, University of Ulster, Aberystwyth and Robert Gordon. I am acutely aware of the courses that our students are undertaking and in most cases they bear little resemblance to the curriculum of even 5 years ago. Today’s students are more technically focussed and have a high level of research skills; they are embedded in electronic resources and delivery of these in online formats. Many are skilled in developing apps. All seem to have an extremely high-level of skills which enable them to contextualise content into multiple formats for a variety of users and uses. To limit this pool of talent to only traditional library jobs is to do a disservice to recent graduates and to their employers. Information management skills and resources are no longer the domain of the library environment. By recognising business applications in such areas as taxonomical development this opens the door to every online producer, manager or creator of content. Content needs to be structured so it is discoverable and accessible. There are other technical and research roles that our new entrants are more than capable of entering into. No longer guardians of knowledge but rather knowledge makers, facilitators and collaborators. By confining ourselves to the title of librarian we are limiting ourselves it is an out of date descriptor for our profession and especially for our new entrants. Why would we continue to hold onto a limiting professional identity? As more and more libraries are eliminating book stock, print copies of all resources then how do they fit this definition. A recent survey of graduate and PhD students indicated that 90% of their access to library resources is done online. They only ever come to library when they need a physical book (which is rare) and to have a study space or a place or a to meet up with other students to work on projects or socialise. Surely this does not sound like a traditional library- it is more link a Study Space or Information Hub. Many students, including some of my fellow PhD students still find the library and librarians intimidating and there are documented cases of library phobia. By changing the name of this building to a more realistic name and that of the name of the staff who work there would be more relevant and accessible to end users. There are Negative stereotypes of both the words library and librarian. Why hold on to these? We must redefine libraries for a digital-plus era. By digital-plus, I mean that materials are born digital and then rendered in a variety of formats, some print (traditional books and hard-copies of images) and some digital (e-books, interactive games, image files, audio and visual works in digital format). Libraries must become networked institutions. There’s much to be learned from how networked organisations function that will help libraries (and librarians as professionals) to thrive. Library schools and i-schools have a big role to play, as do funders and organisations that focus on professional development for librarians. Librarians should seek common cause with authors, agents, editors, and publishers, but if that fails, libraries may need to take on new functions. Librarians should seek common cause with technologists, inside and outside of libraries, in the public and private sectors — and develop strong technical (coding, information architecture, design, etc.) skills across the board within the library profession. 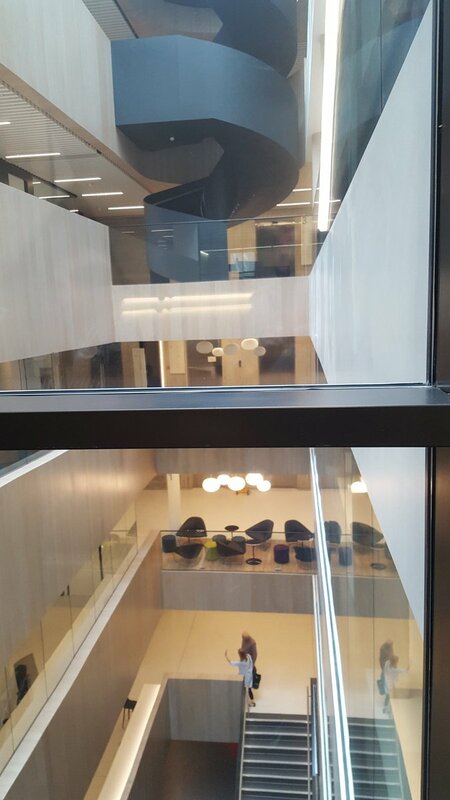 Library spaces should function more like labs, where people interact with information and make new knowledge. Libraries should maintain physical spaces but use them for lots of things other than the storage of physical materials. To sum up these positions I am suggesting a a call to action - to eliminate these words - to dissociate ourselves and create new words and terms that reflect this. My observation is that librarians don’t engage and promote their careers enough - if we don’t value ourselves how can we expect anyone else to? We both found this debate challenging. Especially, Jane as she took the opposing option and many of her points were not ones she personally agreed with but were necessary for the debating process. We hope the ideas and issues as well as the suggestions for action will be a catalyst for professional reflection for readers. At the end of the debate there was some swaying but most attendees sided with the idea that the terms Libraries and Librarian should remain in tact.